WOW!! This study from the American Academy of Pediatrics keeps coming back to haunt me, as I am not as active as I would like to be! “Mom’s Priority” means many things to many moms, and to me, it includes modeling good habits that they can one day call their own. 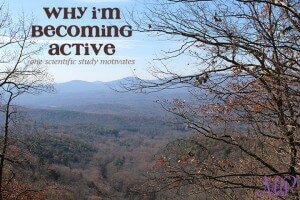 Being athletically active is something that I struggle with, but hope to improve upon. With limited hours in the day, exercising often gets cut, and even more so, exercising WITH my kids is a challenge. 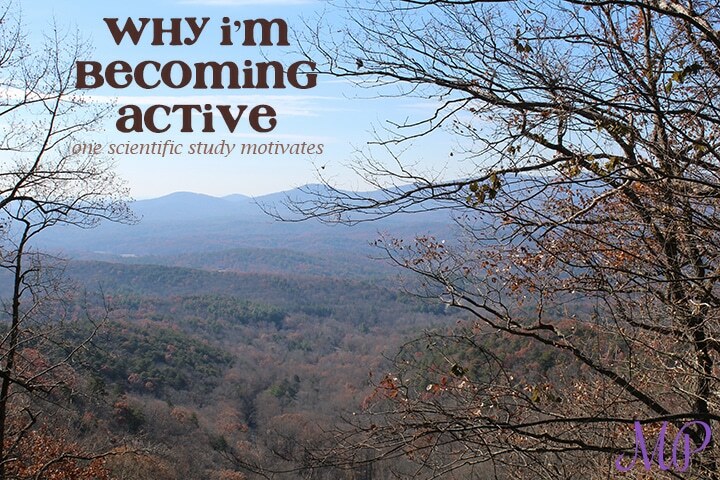 But, there are so many ways to incorporate physical activity into our daily routine. Start with a simple walk around the block. The kids can ride their bikes, roller skate, walk, or run, but the key is to just get out there and get active! Download apps to get you moving and to track your fitness. IPhone 5 and up have a built in Health app that tracks your steps and you can even input your body measurements, nutrition, and fitness info. A great app for tracking your diet and fitness progress is myfitnesspal. Have a dance party! This is our kids’ favorite thing to do after dinner. Put on some music and just dance! Get outside with our kids and PLAY with them. Too often, we’re too busy- kids and parents alike- in our extracurricular activities and workload and travel schedules- to just go out in the yard and throw the ball around. It’s important for everyone’s future that we take time to play! Join the gym, do workout videos or apps, sign up for small races- all of these are things we can do to promote a healthy and active lifestyle for our kids. Modeling good habits for our kids and their futures is a priority to me, one that I have been neglecting. (1 Corinthians 6:19) Starting today (sounds cliché, right?! ), our family is making changes to our routine to accommodate being more active and fit. As a family, we are going to track our progress and keep accountability using our Wii fit system and separate profiles on My Fitness Pal. Our Wii Fit will check our weight, BMI, balance, and give us a good workout. My Fitness Pal will be the place to record what we eat, so we can make sure we are eating balanced foods each day. Keep up with our progress by checking back here and post how you keep your family active by commenting here! We need your encouragement! In our first two weeks, our family of 4 lost 10 pounds and slightly lowered our BMI! More importantly, we are becoming more aware of what we are putting into our bodies. The kids especially are learning that different foods provide varying nutrients and it’s important to eat a balanced diet! We’re working on building good habits- trying to exercise at least a little every day and pay attention to what we eat. We’re not perfect and we don’t get it all done every day, but it’s a habit that builds over time. The kids are still excited about it all because we have tied these daily habits into their points system. Their points system motivates them to achieve goals that we set that we believe are important for their growth, like taking care of themselves, getting dressed, making their beds, completing homework, and now exercising daily and recording what they eat (for now). We’re trying to raise competent, goal-oriented adults one day, and we have been blessed by the success of this so far, but it is a daily challenge for all of us! We have been working on these habits for a month now, and I will say we have our good and our bad days! It is difficult for our family to form these new habits, but we are working on making smart choices with our food and our time with regards to exercise! We definitely have a heightened awareness after logging our food into My Fitness Pal for several weeks regarding nutrition. I am thankful for that because our kids are starting to understand their choices, and not in a way that they feel condemned for eating unhealthy occasionally, but a healthy awareness. It’s a work in progress, and we hope to have more results to post soon!